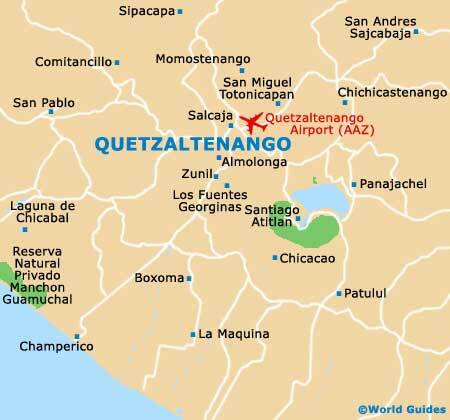 Quetzaltenango isn't short of fine dining opportunities, found in a number of Guatemalan and international restaurants in the Old Quarter, as well as at several of the upscale hotels. International dishes do well here and include Italian, Indian, French, Spanish and fusion cuisine. Steakhouses are scattered around and are a popular option with the large number of foreigners who come here to study Spanish. Tex-Mex food arrived recently in Quetzaltenango and is usually well-prepared and quite delicious. Dining in general is reasonably priced, particularly when compared with the capital, and the large university student population ensures a good choice of inexpensive local restaurants and eateries. For a meal on the run or in the open air, street stalls are everywhere in the many markets around Quetzaltenango, serving traditional local dishes for small amounts of money. In the Western Highlands, ingredients are seasonal and fresh, with some restaurants turning to organic produce. The diverse multi-cultural aspect of Guatemala is mirrored in its dining and the cuisine varies from region to region, although the use of fresh seasonal ingredients is common across the country. Many traditional recipes have their roots in the Mayan culture, especially in the Western Highlands, where the majority of the population is of Mayan ethnicity. A Guatemalan tradition followed by Quetzaltenango restaurants is the eating of certain foods on certain days of the week, with Saturdays being the day for 'tamales' (stuffed dough, wrapped in a leaf and steamed) and Thursdays for 'paches' (similar to tamales, only using potato instead of dough). Certain recipes are prepared for feast days, holidays and on other special occasions. Mayan cuisine relies strongly on beans, corn and chillies as basic ingredients, with a variety of other additions and fillings. The usually dough-based tamale, either made with rice, potato or corn, has hundreds of different fillings and flavourings, and the wrap can also be plantain, banana or mashan leaves. Tamales can be sweet, with fruit, raisins and nuts as fillings. Meats used are chicken, beef or pork. Beef is big on dining menus in Quetzaltenango, being of fine quality and when served in restaurants, is often accompanied with beans and rice. Guacamole (mashed and spiced avocados) is mopped up with unfilled tamales and frijoles (fried beans), providing non-meat protein. As with any cuisine, the best places to taste the food of the local people is where the local people eat, rather than in the tourist eateries.